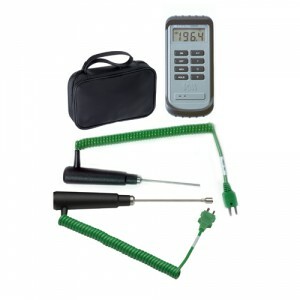 The kit contains a C28 Thermometer, which is supplied with a Free UKAS Certificate of Calibration. There are three robust probes to provide options for air, penetration and surface of temperature measurement. 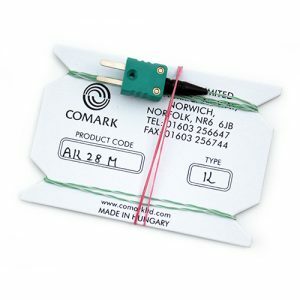 Use the probe wipes supplied to wipe the probe shaft between measurements to avoid the risk of cross-contamination. The C28 Legionella Kit is designed to help you manage the risk of Legionnaires Disease. Given the right conditions, Legionella bacteria can grow in any workplace. 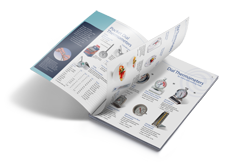 If you manage any of the water systems described in the Health and Safety Commission’s L8 Regulations, part of your risk assessment will include a temperature monitoring regime to ensure any out of range temperatures are immediately rectified. 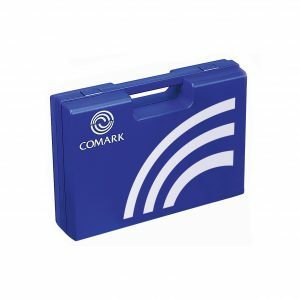 If you have responsibility for management of water systems at your facility, a Comark Instruments Legionella Kit will make that job easier. 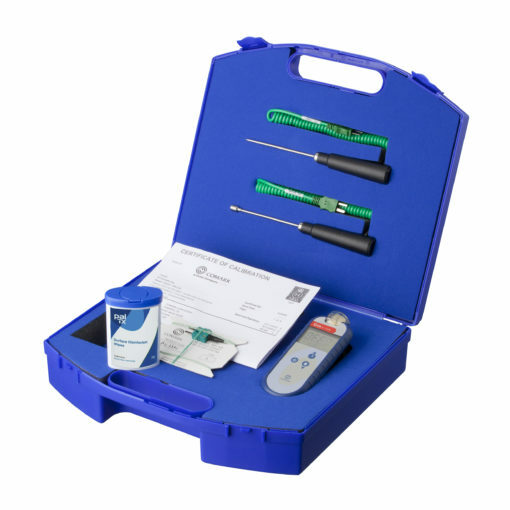 The C28 Legionella Kit is ideal for testing water towers and water systems in businesses, schools, dental practices, residential homes and other institutions where there could be high risk areas. 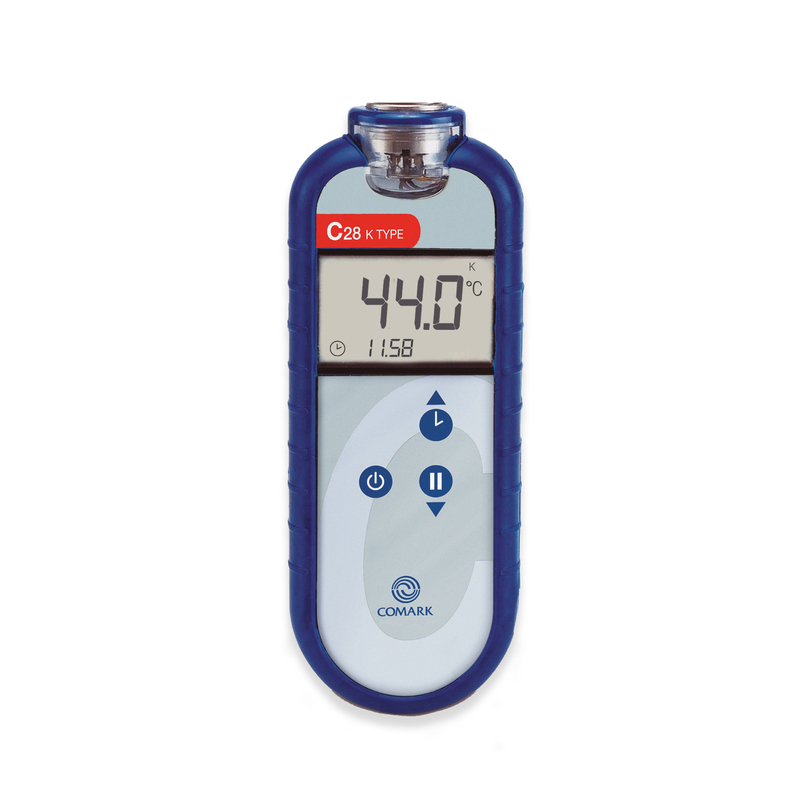 The case of the C28 Thermometer is rated to IP67 dust and waterproof standards and Comark also uses BioCote Antimicrobial Protection, the only antimicrobial solution to be awarded HACCP International Certification, to provide an important extra level of defence against cross-contamination. 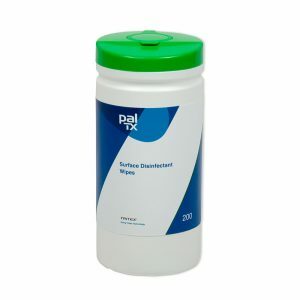 This product is also NSF Certified. 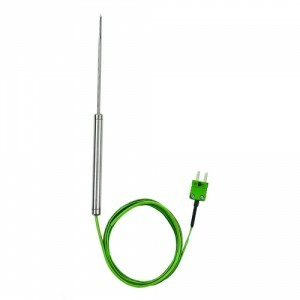 The C28 Industrial Thermometer is a simple to use, food thermometer with Type K Thermocouple for reliable and accurate temperature measurement. 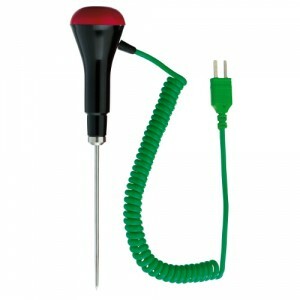 It has an easy to use keypad and large LCD display. 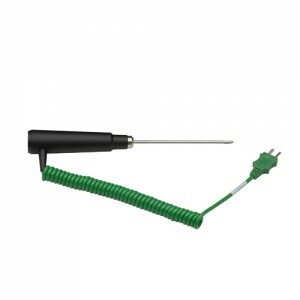 The PRO1 Probe is Type K Probe fitted with a 2-Pin Sub-Miniature connector, to provide a quick and easy connection to your device. 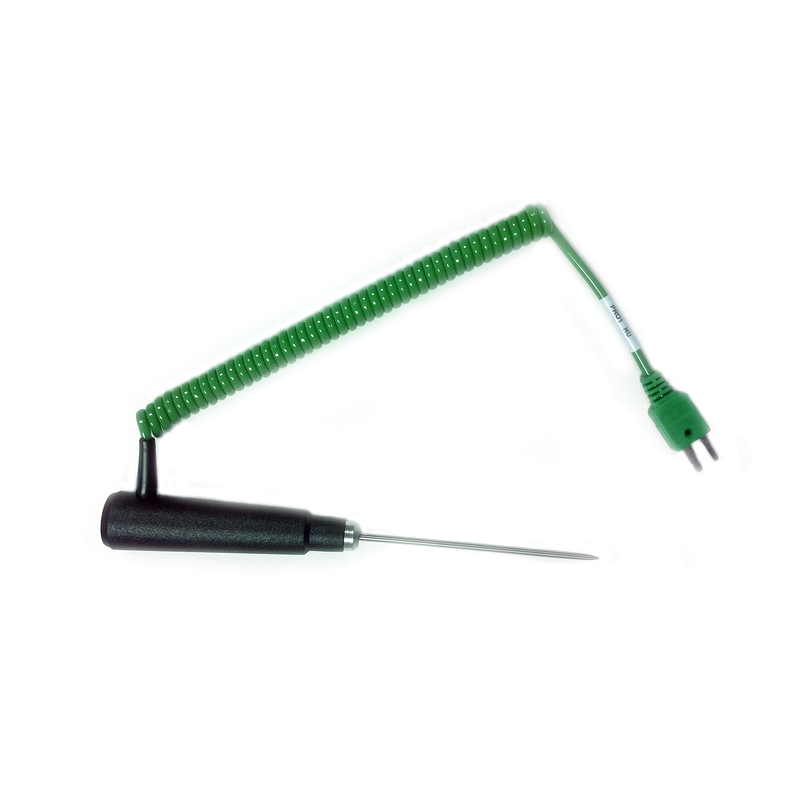 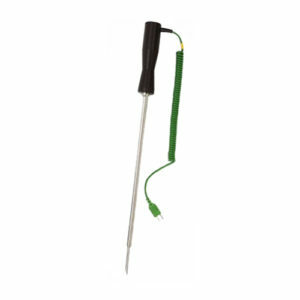 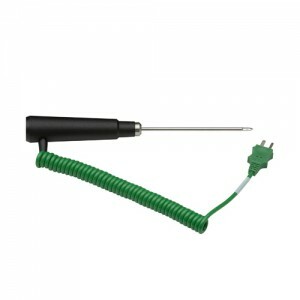 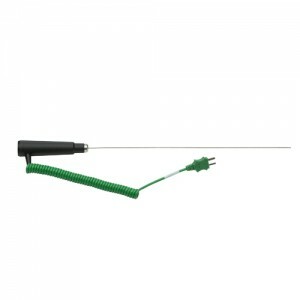 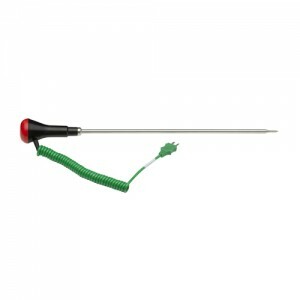 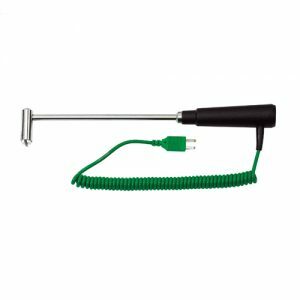 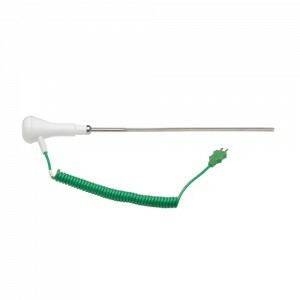 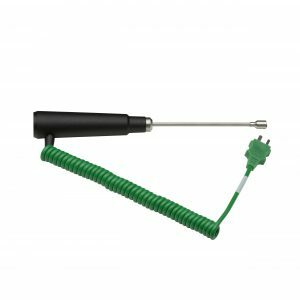 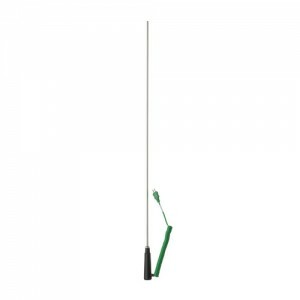 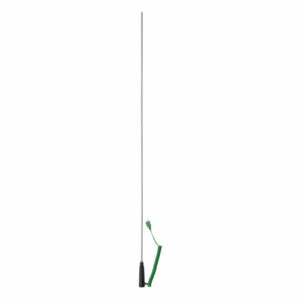 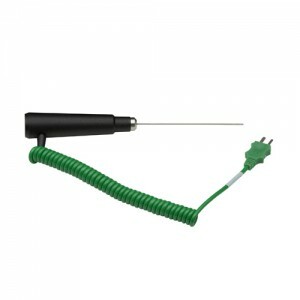 The SK21M General Purpose Fast Response Probe is a Type K Thermocouple Surface Probe, fitted with a 1m curly cable. 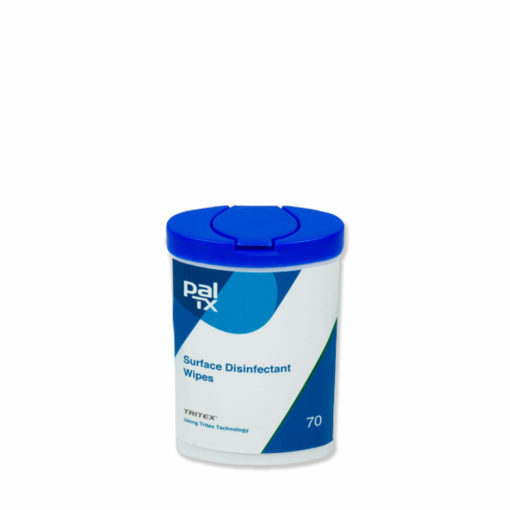 The PW70T Thermometer Probe Wipes (70 Pack) is a pack of 70 probe & surface disinfectant wipes supplied in a small portable dispenser. 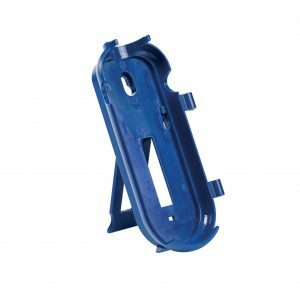 The MC28 Blue Medium Size Case is a hard carrying case specifically designed to take one thermometer and a range of probes. 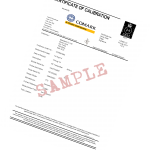 Free UKAS Calibration Certificate at the standard points of 0°C, 70°C and 100°C. 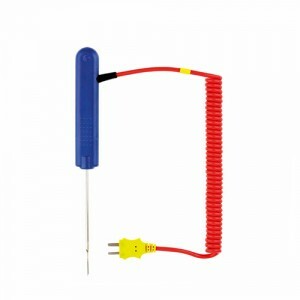 If you have set up your Device correctly, inserted a Sub-Miniature Connector Probe into your Device and taken a temperature reading, only to discover that the temperature recorded is vastly different to that which was expected, then it may be that the Probe Connector was in fact inserted incorrectly. 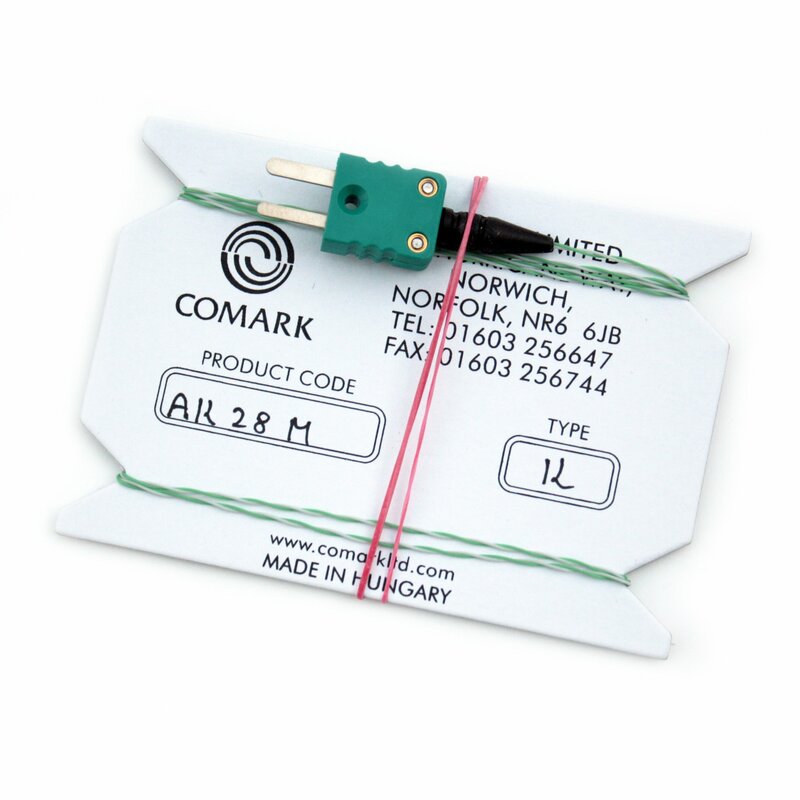 The Sub-Miniature Connector on all Comark Probes has two prongs, one slightly larger than the other. 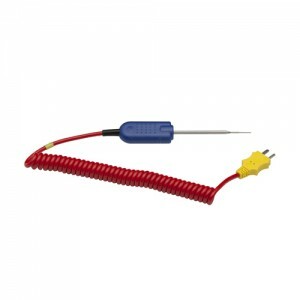 These prongs are also marked as positive (+) and negative (-) on the cable head itself, as shown below. 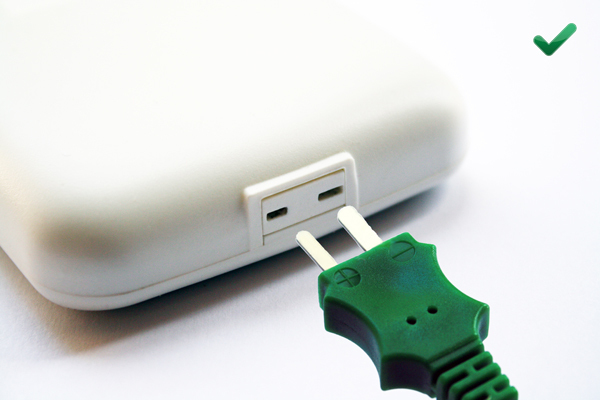 The prongs correspond to two similarly shaped slots on the Device, one slightly larger than the other. 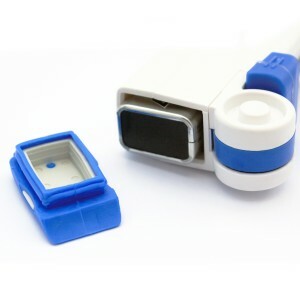 In some cases, it may be possible to force the prongs of the Sub-Miniature Cable Connector in the wrong way around. 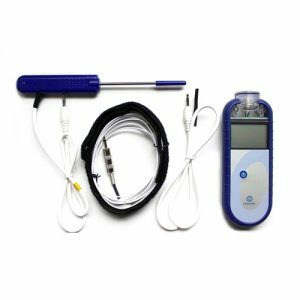 If this is done then the symptoms would be as described above, recorded temperatures that are vastly different to those which were expected. 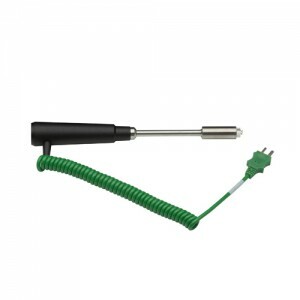 To resolve such an issue, simply unplug the Sub-Miniature Cable Connector, check the prong orientation and then re-insert. 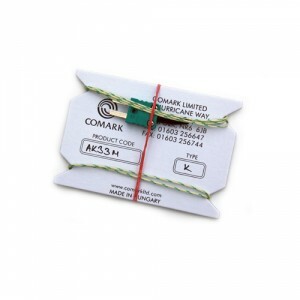 How old is my Comark Product and is it still in Warranty? The serial number on most Comark Products is usually the date of manufacture followed by a unique product number. 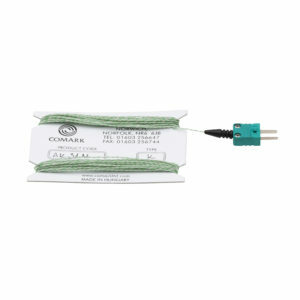 For example, 02121234 is (02) for February, (12) for year 2012, and (1234) is the number of the individual product. 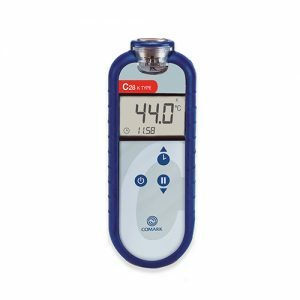 This works for all C series Thermometers, Evt2 and N2000 Data Loggers, RF51X Transmitters, KM2xx, P250FW, BT250 etc. 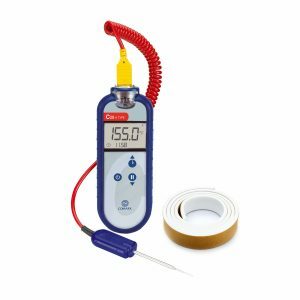 Warranty on most Comark Thermometers is 1 year. 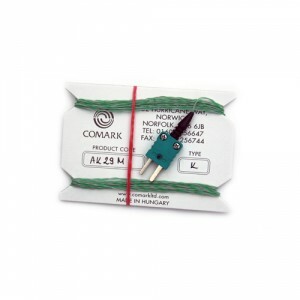 However, in reality Comark will give a little over the relevant warranty period to allow for distributor stock.